In part one of this article I discussed some of the tips I use when planning a trip. 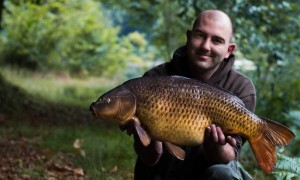 For the second part I’m going to look into what to do when you arrive at your chosen lake. We all know that heightened feeling of anticipation that we get when arriving at a lake for the first time. Catching the first glimpse of the water as you arrive certainly gets me brimming with excitement and imagining what’s in store. It’s inevitable that you would be keen to get started immediately as you may have booked your trip months in advance and have been waiting for this moment to arrive. No doubt you’ll want to get cast out as soon as possible and, whilst this is perfectly understandable, I’d offer a bit of advice at this point and say that it sometimes pays dividends to take your time and not rush to get your lines in the water. Sorry if this sounds like I’m being a buzz kill but I know from experience that it’s always worth spending time observing what is in front of you, before you decide to cast out. I’d recommend doing at least two laps of the lake, taking your time to familiarise yourself with the lay of the land, which way the wind is blowing from and also consulting the aerial map of the lake, that I recommended in part 1. Remember, you’ve got a whole week to fish, so spending a few hours at the beginning to prepare is often worth the investment of time in the long run. Don’t be in a rush to crash a marker rod in either. I much prefer to see if the fish are going to give me some indications as to where they are rather than indiscriminately beginning the process of mapping the swim. You may just disturb a feeding shoal that are sitting within easy reach. I draw many parallels with how I would approach a session at a lake back home. 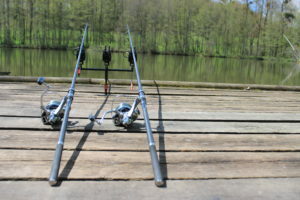 I always spend time observing a water at home before casting out as climatic conditions and other factors will be different from session to session, so I apply the same logic to a session on any French lake. If you are lucky enough to have booked a lake exclusively then getting a feel for each swim on the lake at the beginning can give you a good basis to adjust any plans if you need to during the week. Bailiffs and lake owners can be a really good source of information on what has been getting caught and what the popular methods are on the lake. It’s certainly worth listening to what they have to say as they know their water better than anyone, but be warned, don’t let what they say cloud your judgement! Taking someone else’s ideas and approach as gospel is something which will normally conflict with your own angling ethos. After all, we all see things from a different perspective and have confidence in our own fine-tuned approach. I’ll apply the same logic here as to what I did with rigs and bait – stick to your guns! I speak from experience after I have had my own judgement clouded by what others have told me at the beginning of the week and allowed that to affect my tactics. The result was that I tried the suggested methods which I was not familiar with and failed to catch. It was only by switching back to my own ideas that I yielded some really nice fish. Very often implementing your own ideas can score you very well, so trust your instincts, don’t ignore advice completely, just make sure you judge for yourself first! With a few laps of the lake done and a good idea of where you want to fish, I’d still recommend leaving your lines out of the water. You have to bear in mind that the lake more than likely has been fished hard the week before, so adding line pressure immediately back into the swim can affect the fish and push them away. Instead, take time and care getting your swim organised. 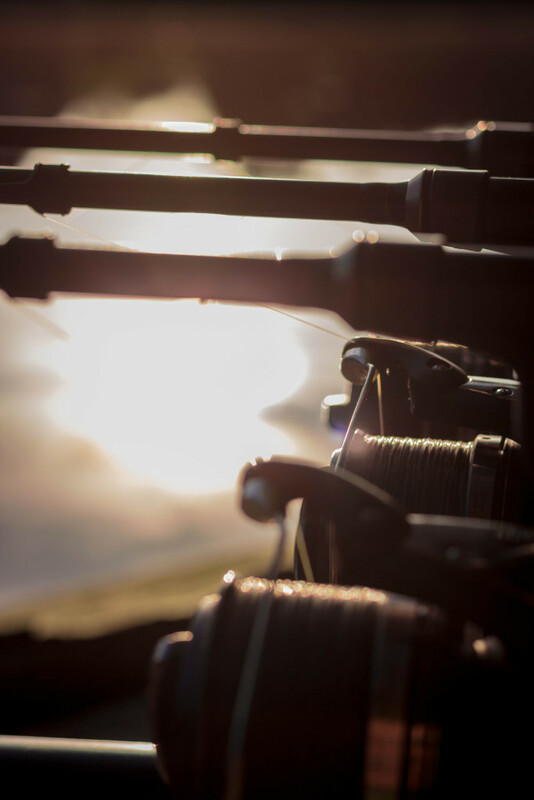 Get your unhooking gear and nets ready, consider where is best to weigh and photograph your catches, paying particular attention to backdrop and where the light will be during the day. I’ll write more about photography in another piece but I know it makes a massive difference to the quality of your pictures if you’ve spent time thinking about where best to take them in the first place. 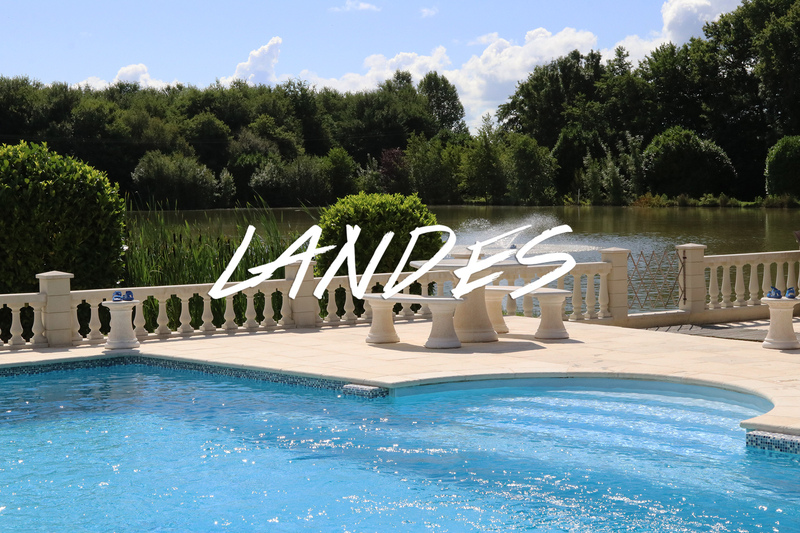 If you’ve booked a lake exclusive with friends then try and agree some general grounds rules. It might seem daft I know but the last thing you want is to fall out if one of you is catching and the other blanking. Working as a team almost always yields better results and you don’t want to find yourself struggling to net a potential PB if you’ve fallen out with your mate and he’s not talking to you! So, if the space allows on the lake, I’d suggest agreeing between you to keep one area as a day only/stalking area. That way you can remove the line pressure in your main swim during the day and allow the fish in this area to feed in peace, whilst maximising your chances of having a bonus fish or two during the day. Plus it can be more social, which is a bonus, if that’s one of the reasons why you’ve decided to go in the first place. This method worked incredibly well for me and my brother Matt at La Fonte, when we chose to fish the shallows during the days only and ended up with multiple double hook ups, which was a great experience! With a few ground rules in place with your friends you can now start to focus on getting your lines in the water. 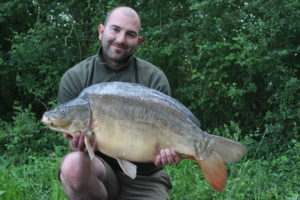 It’s been said time and again by anglers far better than me but at this stage I wouldn’t recommend piling in the bait. It’s impossible to say how much bait has gone into a swim and most of us never have the opportunity to ask the departing anglers from the week before, so it’s common sense not to overdo it at this stage. Otherwise you could be wasting a lot of bait and blowing your chances of success further down the line. 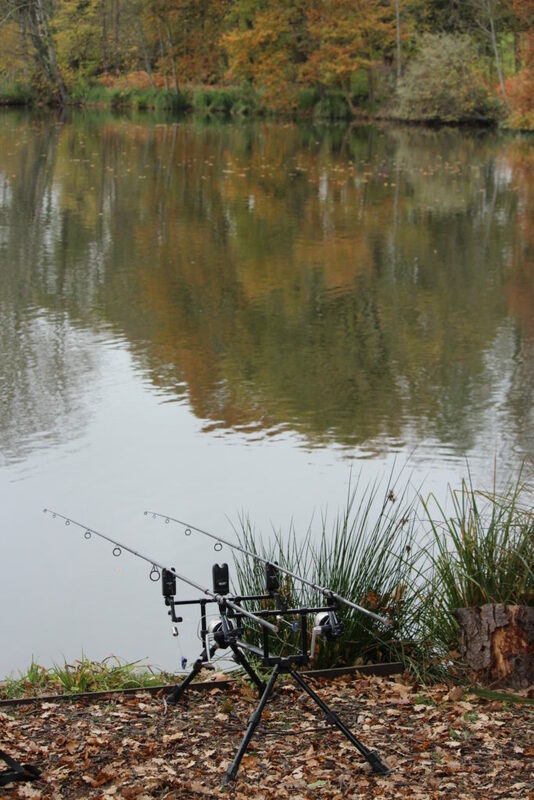 Shaun Harrison has a good tip for this situation and he recommends just a handful of bait on each rod to begin with. Everyone knows the old saying that you can put it in but you can’t take it out! If often amazes me just how little attention people pay to stalking, both at home and abroad, but I can’t recommend this tactic highly enough. Whether it’s the application of a little more time and effort that puts people off or if it’s just the fact that they feel their time is better spent with baits in their main swim, the vast majority of people are passing up the opportunity for some amazing, heart in the mouth action. Some of my most memorable catches have been in stalking situations and I’ve picked up fish at times during trips when I know I wouldn’t have caught using more conventional tactics. It can often take a lot more watercraft to winkle out a wary fish with a carefully placed marginal trap but I’d personally give up 10 fish caught at long range for one stalked at arms length any day! It’s not uncommon for a week long session to have a lull in the action. In fact sometimes it can take a while to start to notch up a few catches. Reading catch reports and seeing photographs of captures never gives the full picture of when and how the fish were caught and I think many people (I include myself here) assume that if someone has caught well during the week, that it’s been consistently over a number of days. This however is seldom the case and on many occasions I’ve not caught until a few days into the trip. The important thing in this situation is not to panic. Try to remember why you are there. It’s meant to be a holiday and a trip away with friends to make memories. Bear that in mind and ensure you don’t ruin your own week by letting your head drop just because you’re not catching. It only takes one second for a fish to pick up a bait and your luck can turn in an instant, so keep your chin up! 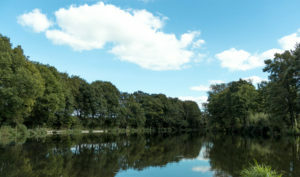 Blanking is a dirty word amongst carp anglers, particularly when it comes to fishing in France. No one ever blanks in France right? Wrong! I’ve blanked and some infinitely better anglers than myself that I know have suffered a blank week in their time. What’s important is what you do about that blank session. Sitting and bemoaning your bad luck or blaming everything else is seldom useful and often it can take a while to think back and realise what you could have done differently. Once you’ve had time to process things in your own mind, try to think how best to do it differently next time and put every effort into ensuring you use the lesson on your next trip. One final point on this particular topic is something of a personal bug bear of mine. I’ve seen some horrible things written about lakes by anglers that clearly hadn’t had an enjoyable week, because they have blanked. Whilst it’s so easy to vent on forums and social media about how rubbish a place is, I’d like you to bear this point in mind. Just because you’ve paid money to go to a lake, it doesn’t give you the right to expect to catch fish. Fishing simply doesn’t work like that. There are a small minority of anglers that do not like to admit it to themselves and avoid taking the onus of a blank session. Instead they will lash out at everything other than themselves, in a misguided attempt to salvage any self-perceived credibility and save the embarrassment of admitting they didn’t catch. Whilst ranting online might make you feel better, just think about the impact that has on the hard working lake owners that do what they can to make your trip memorable for the right reasons. Sometimes, you simply can’t force the fish to feed, so set your expectations accordingly. I’ll get down from my high horse now! 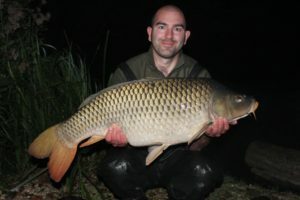 My brother and fellow Angling Lines field tester Matt has taught me one very valuable lesson over the years that we have fished together in France, take your opportunities when they arise! If there is one thing I’ve learned it’s to capitalise on an opportunity to get the fish on the bank, when things are in your favour. Matt is a master of being truly relentless when he’s on the fish and is hardly ever out-fished on any of the waters we’ve visited. Amazingly, being prepared to catch the fish when they are feeding is not always something people are willing to do. But if there is a feeding spell at 3am, be prepared to forgo any sleep in favour of banking the fish. You can always sleep during the day remember, so don’t fall into the trap of thinking there will be another chance, as you can’t say for certain if there will be! I recall one session we had a few years ago when we hardly slept for three days, such was the prolific nature of the catches at night. Whilst it was gruelling at the time, looking back I know if was worth every second! So there you have it, my slightly unconventional look at a few points to consider during a trip to France. I hope you have found some of the information and experiences useful and I wish you the very best of luck for next time you’re over there trying to catch a few! Previous post link Planning A Trip – Part 1: Doing your homework!